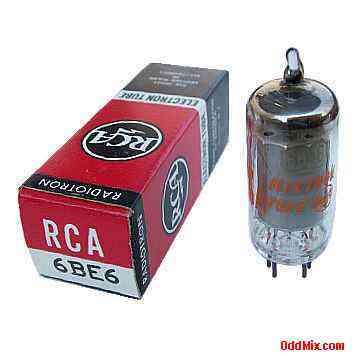 This is an original RCA Radiotron 6BE6 Pentagrid Converter electron tube in its original box. Miniature type used as converter in superheterodyne circuits in both standard broadcast and FM equipment. Excellent part for replacement, antique radio, intrument or television restoration, experimentation, circuit research or to set up a private vacuum tube museum. It is NOS tube - New Old Stock, unused, boxed, excellent condition.